Outsource2india successfully provided podcast transcription services to a US-based client in just 10 days with 98% accuracy! As a result of the close attention to detail paid by the O2I team, the project was completed with an accuracy level of 98% in just 10 days. The client's expectations were exceeded in both cases and the project was a success. This client has since started a long-term relationship with O2I for future transcriptions and other similar projects. If you are preparing to contact a third-party to handle your transcription requirements, Outsource2india can help. Our team of highly experienced transcriptionists can produce accurate transcriptions at a faster turnaround time to meet your specialized needs. Go through some of our transcription samples to know more about our capabilities. 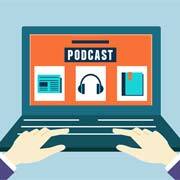 To learn more about Outsource2india's podcast transcription and general transcription services, contact a member of our team today.